When you think about red wines from Italy, Sangiovese immediately pops to mind, and maybe Nebbiolo for those of the Barolo persuasion. Italy is rich in native grape varieties, but some of them are restricted to very small regions within the country and are exported in small quantities, if at all. One of the best of the native Italian varieties is Sagrantino. Sagrantino is native to Umbria, which is located between Tuscany and the Marche, right on the middle of Italy. Umbria is known as the "green heart of Italy" due to the fertile river valleys located within it. Geographically, it is the only region in Italy that does not touch the ocean or another country. 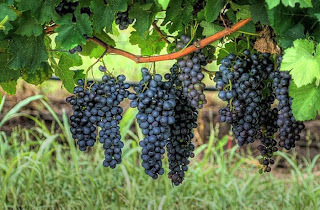 Wine production has a long history here, but commercial wine production is a relatively recent phenomenon. Of the 13 DOC regions in Umbria, 11 of them were created after 1980. Most of the production (70% of the DOC production) for the region comes from Orvieto, a white wine which is slowly becoming more and more present in the American marketplace. Virtually all of the Sagrantino grown in the world is grown in the village of Montefalco which is pretty much in the dead center of Umbria. Bastianich and Lynch, in their Vino Italiano, state that there is only between 250 and 400 acres planted to Sagrantino and only about 25 producers making wine from these grapes. As a result of this, these wines can be difficult to locate, much less afford. They are well worth seeking out, though. In 1992, Sagrantino di Montefalco was elevated to DOCG status, the highest quality tier in the Italian system. To qualify for the DOCG tag, wines from this region must be made from 100% Sagrantino grapes and be aged for 30 months with at least 12 of those years in oak barrels, before being released. This long aging time is necessary because Sagrantino is a powerful little grape. It has one of the highest concentrations of tannin in the world and it generally demands some longer aging time in the cellar before it is approachable. The bottle I picked up was an Arnaldo-Caprai "Collepiano" from the 2004 vintage and it was still intensely and powerfully tannic. I picked my bottle up from the awesome Bin Ends in Quincy for $52. These wines are not cheap anywhere due to the extremely limited production. In the glass, the wine had an opaque, inky black center with a purple edge. The wine coated the glass as I swirled it around. It was intensely saturated and concentrated. On the nose, the wine was a little shy, but there were aromas of cedar and stewed black cherries, smoke, and black plums. In the mouth, the wine was full bodied and extraordinarily tannic...like mouth turned inside-out tannic. The tannins were thick, but they actually didn't block the fruit flavors too much. The aromas were followed nicely in the mouth with a lot of smoky, ripe black fruits all over the palate. If it weren't for the richness of the fruit, this would be a very austere wine, but as it is, it's just kind of tough and burly. It absolutely demands food and the more red the meat is, the better. Big fat grilled steaks would be ideal. I made a prime rib to go along with this, and it was just about perfect. If you happen to stumble across one of these wines and have some money to spare, I think you won't be disappointed. It's not something I'd look to drink regularly (I think it would strip all the enamel off my teeth if I tried), but it's an excellent, high quality wine that's a perfect match for rich red meats. I stumbled across your blog today looking up Umbrian wines. I have to say, I love sagrantino in the same way I like any really intense food/wine/spirit. 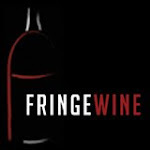 I am in the greater Boston area, so I am looking forward to exploring your blog and then hitting up the local wine stores and getting my eno-geek on.